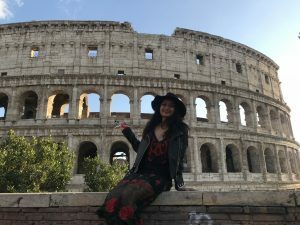 SAI caught up with SAI Ambassador Kajal, who took the time to answer some questions about her memorable semester in Rome. My study abroad experience was absolutely life-changing in the best ways possible. I learned so much in that one semester alone outside of a classroom than my entire college experience has been able to give me. Aside from academics, I learned all about perspectives from all different kinds of people you interact with on a daily basis. I learned about independence and I got an opportunity to discover myself in a different setting. I met some of my best friends, that I still keep in touch with regularly. 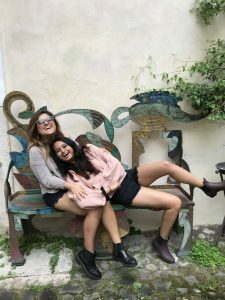 Studying abroad taught me about the world beyond the world that I was so used to, pushed me out of my comfort zone, and helped me come back to America with so much knowledge and experience I would not have been able to find anywhere else. My favorite class was Health Psychology offered at John Cabot University. My professor and his passion for psychology really made it the experience that it was. I learned a lot about how to manage stress and apply these concepts to my daily life in order to live a happier life with healthier habits. The fact that Alfredo sauce is not actually Italian is what surprised me the most. But, no worries, it’s hard to find a dish that you won’t like—or at least for me, it was. Italian food is the best in the world! 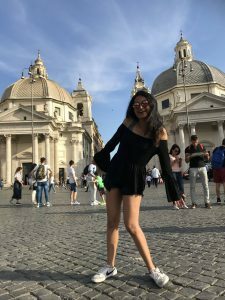 Kajal was an SAI Rome spring 2018 student from the University of Mississippi. 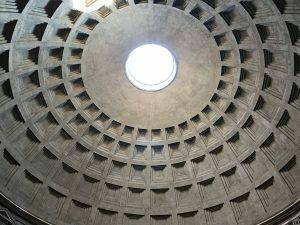 Thanks for sharing your take on life in Rome, Kajal! It truly is the “capital of the world.” I’m happy that you were able to have an amazing experience in Italy. We’re always proud of our Rebels who are able to grow both personally and academically through study abroad!